Christmas Tree Stand Mat Absorbent Water Trapper for Floor Protection Best Under Xmas Tree Carpet Mat. 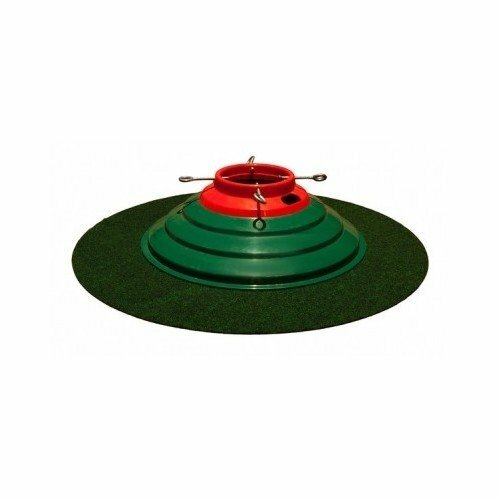 This 32'' Round Christmas Tree Floor Protecting Mat Hogs Water. One of the Best Water Trapper Mats. View More In Tree Trays & Mats. This absorbent Christmas tree stand mat protects your floor from soak-throughs due to over-watering live trees as well as provide floor protection from scratches. 32" round, this water trapper mat is like a waterhog. Placed under the tree, this large xmas carpet mat blends seamlessly with your fresh Christmas tree and even provides protection from a fake tree by preventing sliding damage to hardwood floors. This floor protecting mat is a must have for the holidays, but it can be used year round to place under dog food and water bowls and other decorative mats plants or where ever water absorption is needed. If you have any questions about this product by MadeinUSA, contact us by completing and submitting the form below. If you are looking for a specif part number, please include it with your message.